Welcome back to another M.R. Timbers Featured Project Series! In today’s post, we’ll cover box beams. Reclaimed wood box beams can take any space and add some dramatic flair to your home. 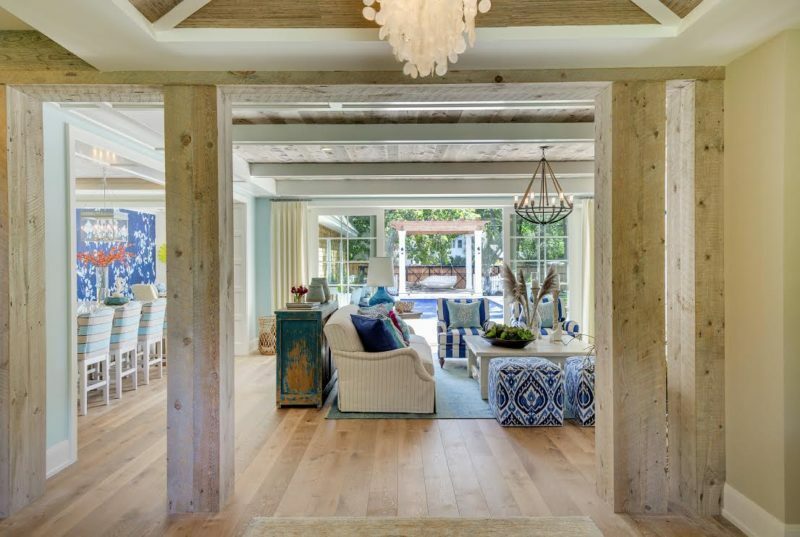 The best thing about these beams is that they are highly customizable to fit the specifications and uniqueness of your home. They also happen to look stunning and will impress your guests with their beauty and rustic characteristics. 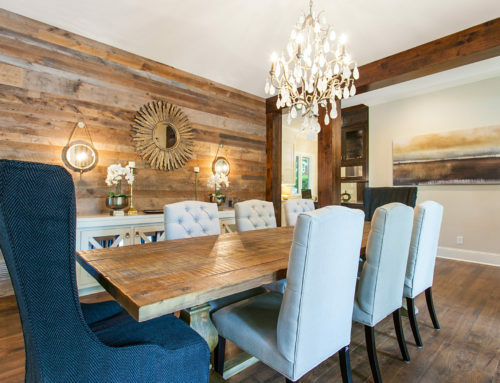 If you have structural requirements that keep you from making the changes you want in your home, then a Reclaimed Wood Box Beam may be the perfect solution to your design dilemma. We make our box beams from Weathered Antique, Platinum Gray, Douglas Fir, Weathered Gray, Antique Elm, Antique Oak, and Ash so that you can choose the perfect materials for your home. They are simple to install, yet make a big difference in your home. Because we are such big fans of box beams in homes, we thought it would be appropriate to highlight them in our featured projects series. 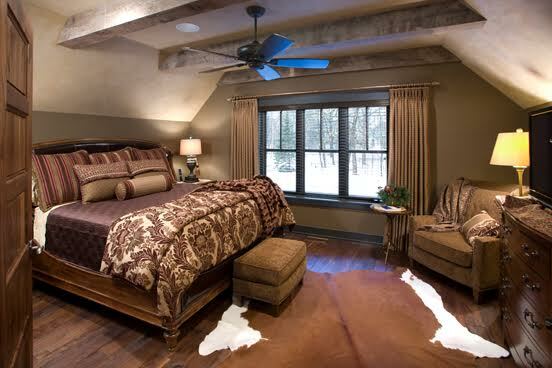 Here are just a few of our favorite projects that used Manomin Resawn Timbers box beams. 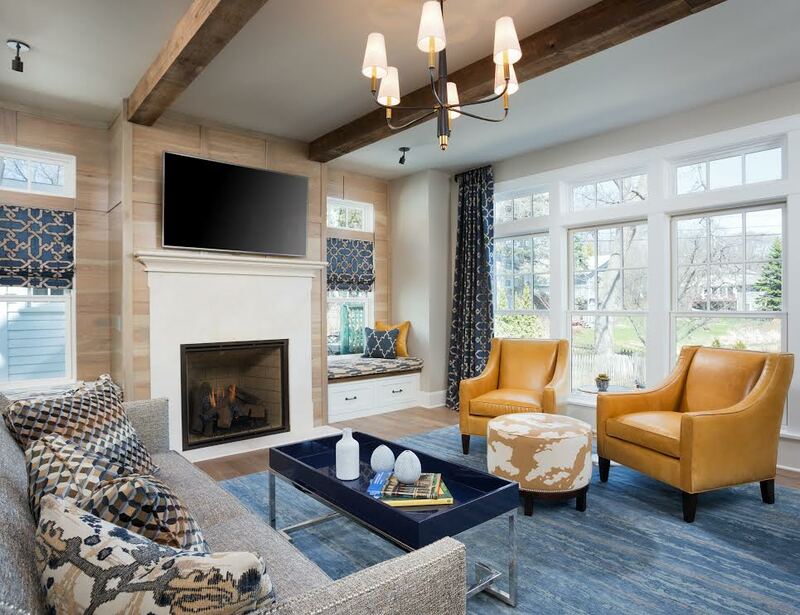 Our first project is from a home created by Great Neighborhood Homes, a home builder located in Edina, and features our weathered antique beams. What we love about this home is that it still has a mid-century modern feel to it, yet the box beams fit perfectly into place. We also think it was a smart move to choose a color of wood that differed from that of the wood paneling around the fireplace to add some variance to the room. Overall, it’s a smartly designed, clean home that doesn’t try to do too much. This next room is from a home constructed by Michels Homes, located in North Oaks, MN, that also used our weathered antique boards. 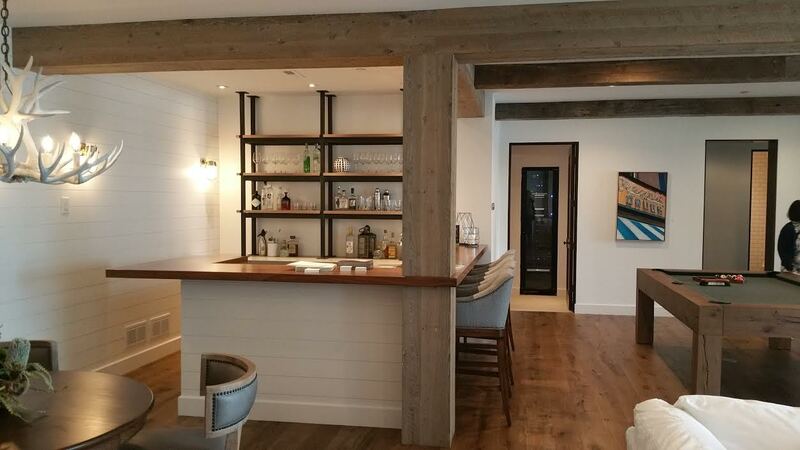 This is a great example of how box beams are versatile and customizable to your home. 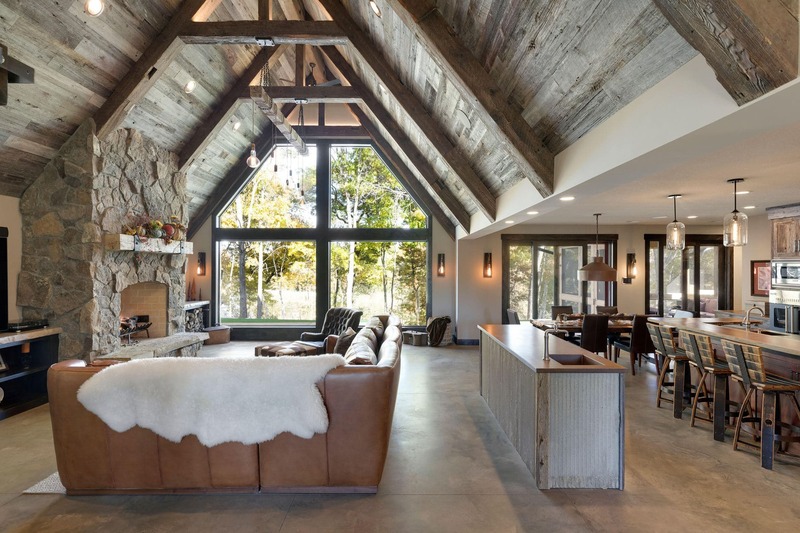 The angled walls which turn into a ceiling make for the perfect spot to place the box beams. Once again, we love the color choice for this room, as it complements the ceiling color perfectly. 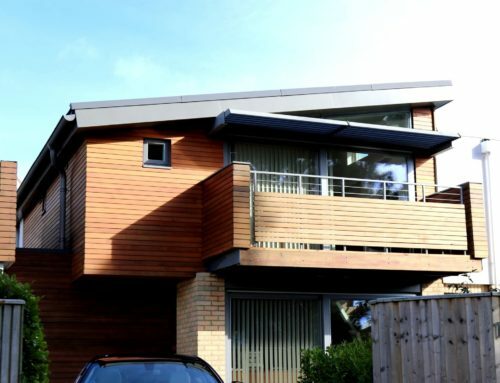 Talk about versatility – during this project; we had to skin these timbers and then put them back together because the roof structure couldn’t handle the full load of the timber. That’s the beauty of working with wood in your home though. When dimensions and weights are off, it’s usually a quick fix. This is also a great illustration of the grandiose nature of these box beams when placed in a home, despite being simple in nature. Our platinum boards work great for modern, open spaces like this. Their light tones help them seamlessly blend into any room. 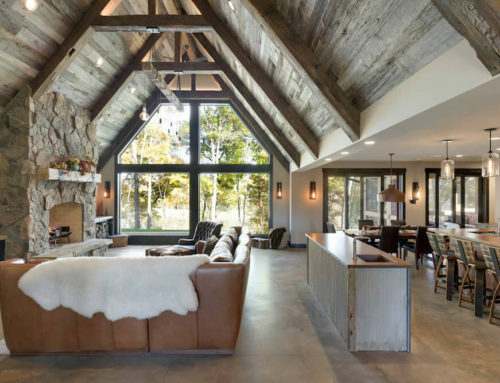 The box beams in this home help create a sense of warmth and calmness (it also helps that the weather looks gorgeous outside). A bar complete with liquor, a wooden pool table, and rustic box beams. Talk about classy; this is another building that puts to use the beauty of our platinum boards. Like What You See? Contact Manomin Resawn Timbers today! 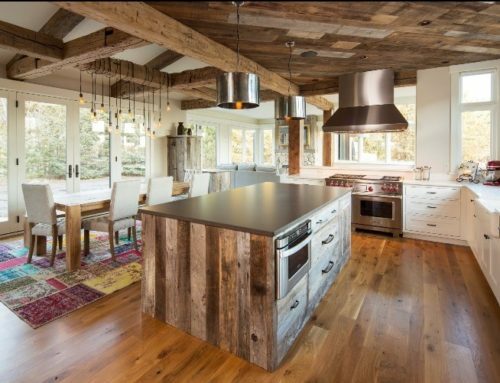 At Manomin Resawn Timbers, we believe that reclaimed wood is the key to making your home shine. 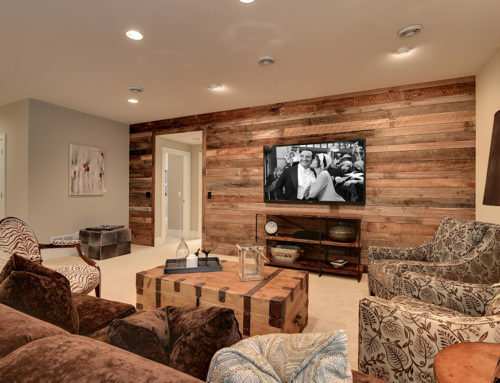 Not only is reclaimed wood breathtaking to look at and the perfect complement to any room, but it is also a sustainable option, as opposed to going to a lumber yard that doesn’t sell recycled wood. Whether you need box beams, flooring, paneling, fireplace mantels, table tops, or doors, we have it all here at MR Timbers. Give us a call at 651-464-1771 if you need wood for your home build or remodel!